That is an interesting illustration of what I was saying about NYC and P&LE lettering. Note that P&LE is lettered on the tender. The locomotive was legally P&LE 6401(?). The words New York Central System were sales/marketing slogan, you might say a brand name. There was no corporate entity with that name. 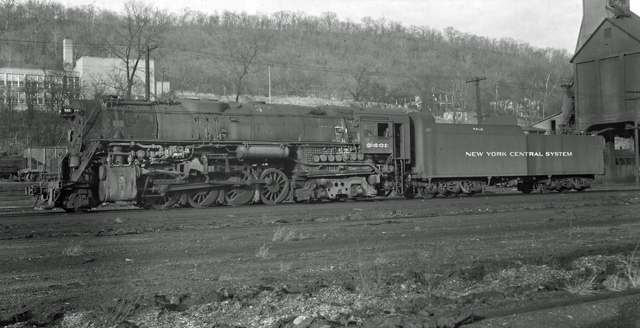 It appeared on locomotives of other separate corporations such as the Peoria & Eastern and the Chicago River & Indiana.